As an applicant for U.S. citizenship, you’re probably anxious to know what happens after filing N-400 and how long it takes to become a naturalized citizen. Although the steps that take place are fairly consistent, the N-400 processing time can vary significantly based on the USCIS case load, the USCIS office where you filed, and your ability to properly submit an accurately prepared Form N-400, Application for Naturalization. The following list describes the basic steps in the process for most people. There is also an approximate amount of time provided. However, the N-400 timeline can vary significantly for some cases. If your Form N-400, Application for Naturalization, has been properly filed, USCIS will initially respond by mailing you a letter that confirms receipt of your application. The receipt letter is formally known as Form I-797C, Notice of Action (see example below) and arrives approximately 2-3 weeks after filing. If your Form N-400 has not been properly filed, USCIS may send a Notice of Action to reject the petition or may send a Request for Evidence that requests additional items. Either will significantly delay your request. So it’s important to prepare the N-400 correctly and submit all required documents according to the filing instructions. Tip: Save this important letter. It contains your 10-digit receipt number. You can use this receipt number to check your case status. If you didn’t receive a Notice of Action, you can make a case inquiry. Nearly 9% of Form N-400 applications are rejected, and thousands more are denied. A poorly prepared application can also delay the approval process and even create significant immigration problems. But when you prepare your N-400 on CitizenPath, we provide simple, step-by-step instructions and alerts to help you avoid costly delays. We even guarantee USCIS will accept your application. No credit card is required to try it. Next, you will receive an appointment notice that assigns your biometrics appointment date, time and location. (The location will generally be the USCIS Application Support Center nearest you.) USCIS requires applicants to be fingerprinted for the purpose of conducting a security clearance and criminal background check. Don’t be alarmed — All applicants must have background checks. Tip: If you are 75 years old or older at the time of filing, the biometric service fee will be waived. 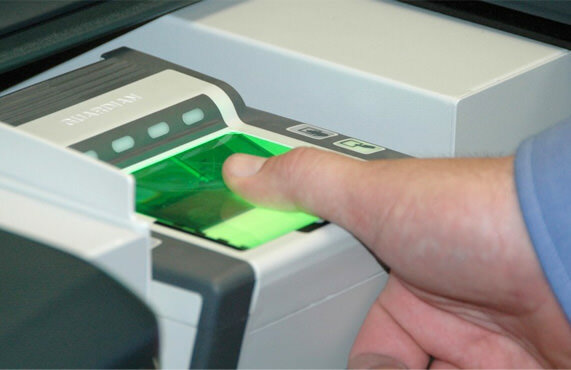 However, you will be required to attend a biometrics appointment regardless of age. If you didn’t receive your biometrics appointment notice, you can make a case inquiry. To learn more about the appointment, read USCIS biometrics appointment. Tip: If you think you might have a criminal record, contact an immigration lawyer before going to a biometrics appointment. Some crimes will make you ineligible for immigration benefits. A lawyer can request a background check before USCIS does and deal with it as necessary. After completing the biometrics appointment, USCIS will send another appointment notice for your naturalization interview. Make every attempt to attend the interview time as scheduled for you. Rescheduling an interview may add several months to the naturalization process. By now you should be preparing — go to How to Prepare for the Citizenship Interview and Test. Tip: You must notify USCIS if you change your address after filing your Form N-400 within 10 days of your relocation by filing Form AR-11, Alien’s Change of Address. You also must call USCIS at 1-800-375-5283 to change the address with your pending N-400 application. At the interview, a USCIS officer will typically go through the entire N-400 application to confirm that the answers previously provided are still correct. In fact, your ability to understand these questions and answers is part of your English comprehension test. Additionally, they will ask you to read and write a sentence in English, will administer the history/civics examination, and will review the results from your background check. If there are any issues that are out of the ordinary, like a previous arrest or if taxes are owed to the government, then further questions and examination are usually done. If you are informed at the interview that you’ve been preliminarily approved for naturalization, then the next step will be to wait for the notice with the place and time of the oath ceremony. 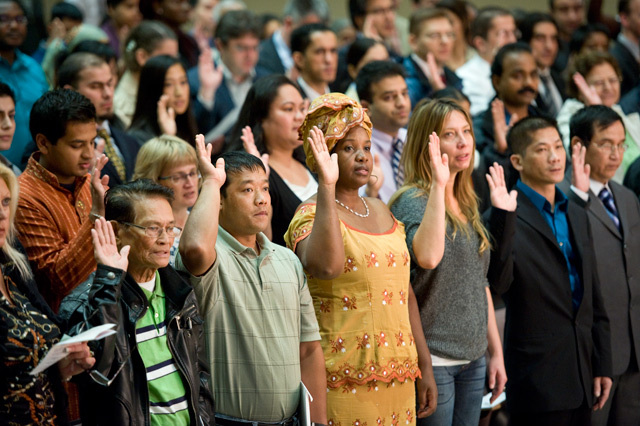 An applicant does not officially become a United States Citizen until after he or she is sworn in at the oath ceremony. In some cases, the USCIS officer will not be able to make a decision on the application for naturalization on the day of your interview. In these cases, the USCIS officer will continue your case. This may include a request for you to provide additional evidence or require a second interview. Read about the most common reasons N-400 applications are continued or denied. After your interview, USCIS will give you Form N-652, Naturalization Interview Results. It provides you with information about the results of your interview. They will either grant, continue, or deny your naturalization application after your interview. Granted—USCIS may approve your Form N-400 if the evidence on record establishes your eligibility for naturalization. Continued – USCIS may continue your Form N-400 if you failed a test or did not give USCIS the correct documents. This will add time to your case as you correct the problem. Denied—USCIS will deny your Form N-400 if the evidence on record establishes you are not eligible for naturalization. Tip: There are numerous free resources to help you prepare for the U.S. citizenship test and interview. If your interview was successful, you will soon receive a notice to take the Oath of Allegiance (N-445, Notice of Naturalization Oath Ceremony). The notice will include a request to answer some additional questions that will be submitted at the actual oath ceremony. See a sample. 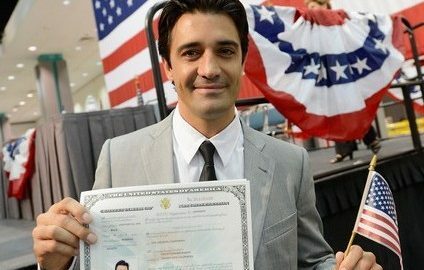 Tip: If you cannot attend your scheduled naturalization ceremony, return the notice, Form N-445, Notice of Naturalization Oath Ceremony, to your local USCIS office, along with a letter requesting a new date and explaining why you cannot attend the scheduled naturalization ceremony. Failing to appear more than once for your naturalization ceremony may lead to a denial of your application. You are not a U.S. citizen until you take the Oath of Allegiance at a naturalization ceremony. The oath is administered by USCIS at an administrative ceremony or by a judge in a judicial ceremony. A court has exclusive authority to conduct the ceremonies in certain USCIS districts. After taking the Oath of Allegiance, you will turn in your green card and receive your Certificate of Naturalization. Congratulations! Tip: Review your Certificate of Naturalization and notify USCIS of any corrections to your certificate before leaving the ceremony site. After filing Form N-400, Application for Naturalization, the entire naturalization process will take 8-12 months for most people. This is an approximation. The N-400 processing time may be shorter for some and longer for others. Don’t forget — you can check your case status online with your receipt number. The USCIS website also lists N-400 processing times. If you believe that your case is outside the normal processing times, you can make a case inquiry.